This follows collaboration already made by Project Nepomuk with artists and musicians in the Czech Republic (Bohemia). Visits have been made by Liverpool Artists to Nepomuk in June 2017, and musicians to the Frantiskovy Lazne Literary Festival in November 2017, and the Alpha Theatre Plzen in January 2018, broadcast on Czech Radio. 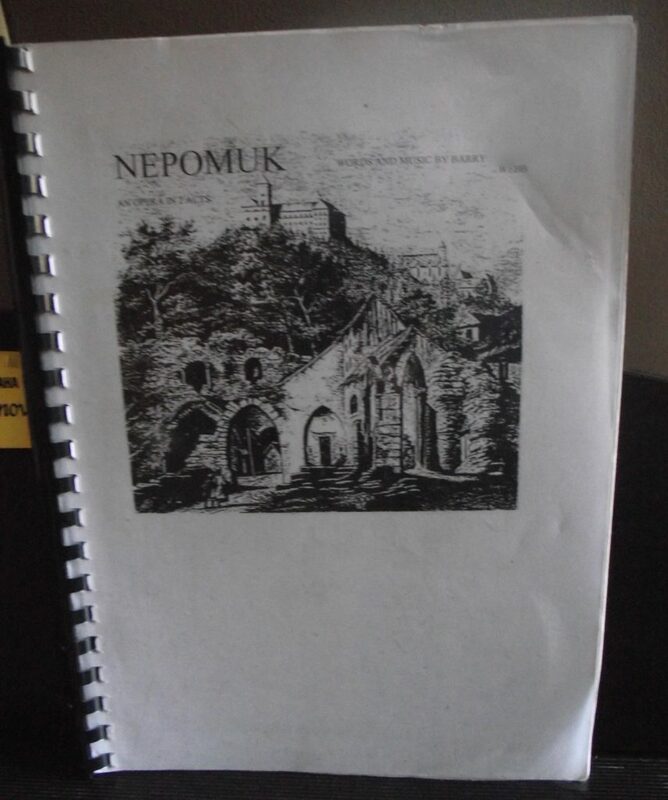 In Liverpool, from 29th to 30th of June, there was a performance of a new opera ‘Nepomuk’ in concert, composed and conducted by the British composer Barry Webb. Some of the best young professional international singers and musicians based in the North West participated. The opera deals with the conflict of love and power through the true story of the Bohemian King Wenceslaus and the martyrdom of John of Nepomuk. It is about the very modern theme of false truths. Alongside the opera concerts, there was be an Art Exhibition at the venue, featuring local contemporary artists from the North. Project Nepomuk is a cross border cultural co-operation initiative, aiming to bring cultures together through the universal language of art and music. The opera deals with the conflict of love and power through the story of the Bohemian King Wenceslaus and the martyrdom of John of Nepomuk. A theme true to today. The opera can be fully staged, but also can be sung as a cantata, in the same way perhaps as Britten`s Curlew River. 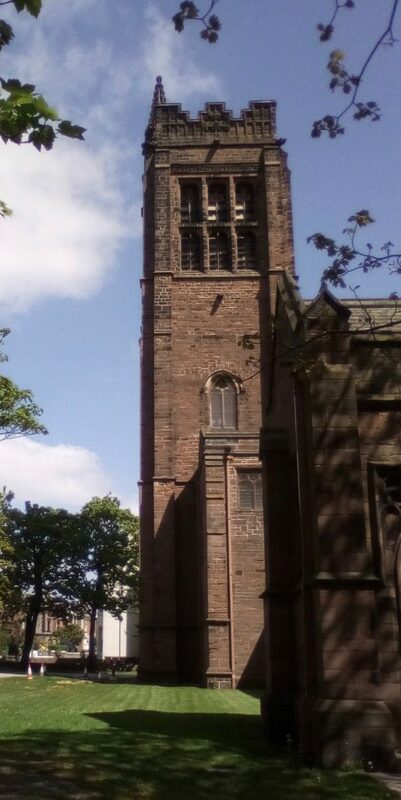 This will be put on in concert performance in Liverpool at Old Christ Church Waterloo Liverpool L22 1RE (picture opposite), the sailors` church that ships would and still see firstly on their approach to Liverpool. Regarded by Pevsner as one of the very finest churches by Lancashire architects Paley & Austin, Old Christ Church, Waterloo is known locally as the ‘Mariners’ Church’. By about 1980 the congregation had dwindled and in 1982 the church was declared redundant and fell into disrepair. In 1993 the church was in a very sorry state so a demolition scheme was published. As a result of objections a non-statutory public inquiry was held and resulted in the church being vested in the Churches Conservation Trust since 1998 and since 2006, the Friends of Old Christ Church have been working to transform the building into a venue for farmers markets, beer festivals, art exhibitions and seasonal fairs, at the heart of local life. This will be a continued use of the building as a community resource in one of the most deprived areas of the UK. The opera will be conducted by the composer, who is himself a member of the Parish of Christ Church. The house at Klaster Nepomuk. PERCUSSION. BONGO. DRUMS. BELLS. MARACAS. WENCESLAUS IV. 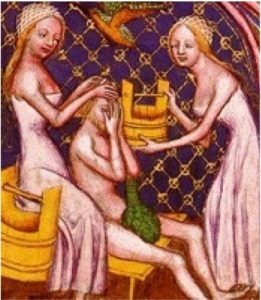 From the Wenceslaus Bible, showing him bathing. 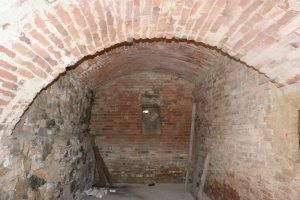 INTERIOR OF THE BASEMENT OF THE HOUSE TODAY. This was the former baths of the Monastery at Klaster.